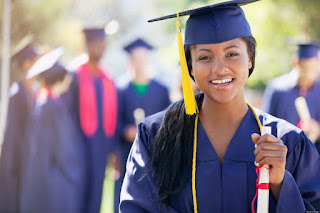 Home ADMISSION EDUCATION JAMB A Must Do for every Aspirant For a Successful Admission This Year. A Must Do for every Aspirant For a Successful Admission This Year. Recently, I got a message from a student saying " sir, what are the things I should do inorder for me to make my admission successful", although I answered the student immediately but I felt that i should make a post out of the question so that other aspirants will benefit from the answer. But before i begin to explain things you should do for a successful admission, I will implore you, the aspirants that have any question or any topic you think i should emphasize on, then you can comment below or you can post it here. Firstly, I will want you to know that transparency is university's admission processes is not certain, so despite you meeting the requirements for admission, you "might" still be denied admission, it happens. O'level result is the number one factor you should put in place. Your o'level might be waec, neco or gce ( all are acceptable in Nigerian universities). You "must" have pass in all your needed subjects. For example, you are aspiring for medicine and surgery into University of Lagos, but in your o'level result, you had D7 in biology, this is an automatic "No" to your admission. The minimum grade you should have in your WAEC is "C6", above this grade (D7, E8 & F9) are unacceptable in Nigerian universities. Also you should know that using one sitting result is an additional advantage to you, you might ask that what additional advantage am i referring to? This is another important part where some of the aspirants get it entirely wrong. When you have made a decision about the course you want to study ,immediately you should get a JAMB brochure ( a book that consist of all the courses in Nigerian universities and their subject combinations). Choosing the wrong subject combination for your course in JAMB can not be amended after sitting for the exam. For example, an aspirant of UNIBEN choosed pharmacy as his preferred course, then he included mathematics as part of the subject combination, this is am automatic "No" to your admission into UNIBEN. Make sure you use the JAMB brochures before registering for JAMB exam.